Think positive.A real symbol of good luck for everyone, together can’t be beaten. 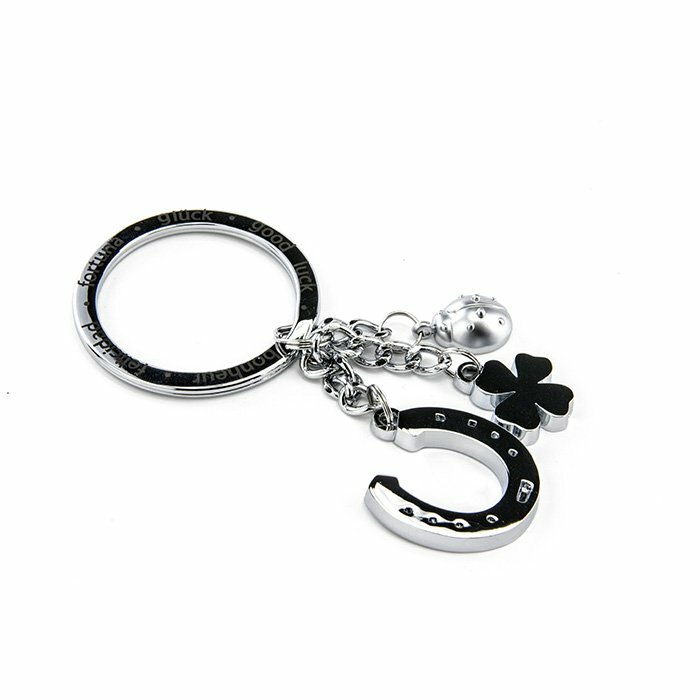 A horse shoe, ladybug and four leaf clover are all known as the good luck symbols..Now they are united on a keyring and show that today is your day! Keyring with 3 charms, horseshoe, clover leaf, ladybird, cast metal, , enamel, chrome plated, shiny, silver. Attached to a high-quality key ring – so you won’t lose your keys or the keychain.